The scale of the implementation of sanctions against the people responsible for the violence in Ukraine will depend on the development of the situation in the country. "The scale of implementation will be taken forward in the light of developments in Ukraine," read the EU Council conclusions adopted and published on Thursday. These developments will include the success of the mission of the foreign ministers of Poland, Germany and France and on the political situation in Ukraine, Interfax-Ukraine learned in the EU Council. 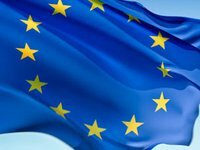 The EU will start compiling the list of the Ukrainian officials who will come under the EU sanctions on Friday, February 21.